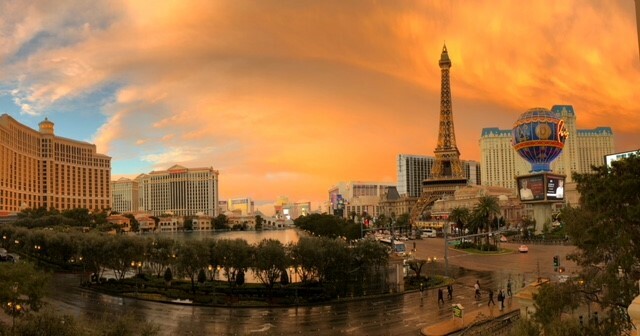 This year more than 180,000 technology enthusiasts from across the world transcended on Las Vegas to experience what has come to be one of the largest conferences worldwide. With over 4,000 companies showcasing the latest and greatest technology advances, and an additional 500+ up and coming startups hoping to inspire attendees with their showmanship, CES is THE event for discovering trends that will drive the industry forward in the year ahead. Vice President of Technology, Nikki Parker, and Director of Consumer Technology, Amanda Kelley, were on the ground – walking the equivalent of a full marathon in two days, meeting with hundreds of companies to unearth the top trends for 2018. What became abundantly clear almost immediately, was that if your technology did not incorporate an element of Artificial Intelligence, or Machine Learning, then you were archaic already. Whilst technology over the last few years was applauded for being “smart,” that technology has now become not smart enough. Instead, our products and software must learn, grow, suggest and predict user behavior. From applications that learn piano playing skills and teach you accordingly, to an industry focus on autonomous vehicles, the battle to bring AI to life and show its applications was more real, beyond clever marketing, than ever. Products that employ voice control and command are the most immediate sell-able consumer applications of AI that we saw at CES. Being driven by Apple’s Alexa and Google’s assistant, there was a plethora of products on display that operated on command. We even saw a home security system that learns each member of your family and can recognize their faces and interact with them intuitively. Overall, we predict that AI and machine learning will continue to be a stalwart component of the apps and products being developed and released over the coming years. Even though the conversation around AI and machine learning has usurped our focus on the “smart phone,” the almost myopic obsession with connected devices, homes, businesses, cars and cities has remained just as prevalent as previous years. 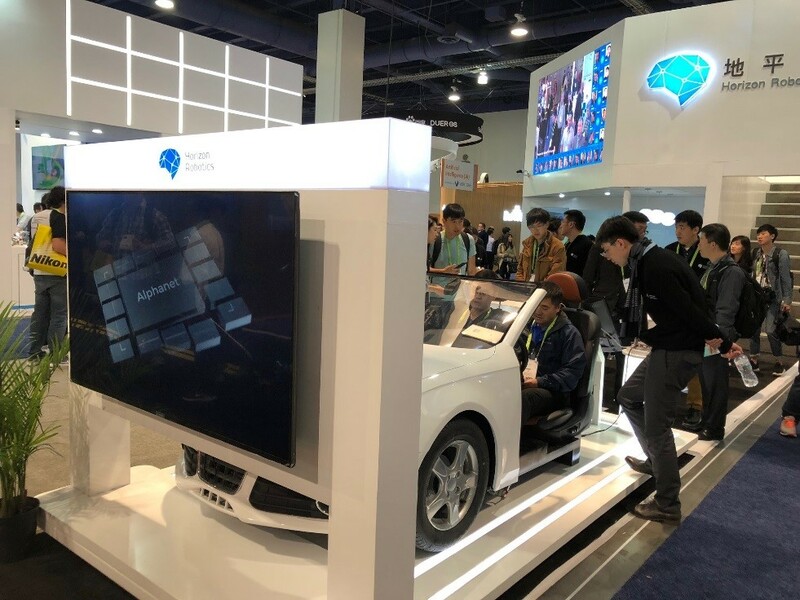 The connected landscape is in many ways the trend of the decade; it’s just that each year at CES it becomes a little less futuristic, and we are seeing more tangible examples of how we, as everyday consumers of smart devices, will interact with these devices. And when we say smart everything, we literally mean everything. From connected toasters, fridges and microwaves, to a surprisingly large number of connected parking meters, water meters and security systems, it felt like there wasn’t anything that couldn’t be connected to a network. The devices on display have certainly done an excellent job of seamlessly blending technology and functionality, however, there still seems to be a long way to go before the software that brings the true value of having a connected device, home or city to life will be adequately developed to drive mass adoption. Next year at CES perhaps? What do you get if you combine AI, machine learning and smart stuff… ROBOTS of course! It seemed that robots almost outnumbered attendees this year. They were literally everywhere! At times, it felt that living life like the Jetsons with a robot maid like Rosie (and hopefully a dog like Elroy) was not out of the realm of possibility. Even more likely considering Nikki saw a Panasonic Laundroid robot consume a pile of clothing and deliver it nicely pressed and folded. Now where is the machine that delivers any food I want? While the team didn’t find a chef robot, there were robots for the home to assist in almost any day to day chore, robots to assist children in their learning and development and also Robomart, a self-driving car designed to deliver fruit and vegetables. As many people debated what the future of human/robot interaction would look like, Nikki was decisively beaten by a robot playing Pong – perhaps an indication of who would sit where on the totem pole. One robot that really stood out for the travel weary CES attendee was the TravelMate Robotics Smart Suitcase (there were a lot around, however this is the one Nikki tried to smuggle out under her jacket). The Suitcase, with its built-in GPS suitcase would follow its owner around like a loyal pack-horse, meaning no more lugging luggage through airports. Bring on the robot revolution we say! When I say Dell, you say… jewelry? In a brilliant combination of fashion, recycling and technology, Dell teamed up with celebrity Nikki Reed to debut a new line of jewelry created with gold mined from recycled motherboards – they officially won CES in our book. Unlike most of its mainstream competitors, Dell found a way to stand out from the crowd of oversized booths without robots, soccer stars (yes, there were plenty to be found in the showroom) and drones. The bold move also translated to press and influencer coverage for days and even weeks following the launch. They weren’t the only fashion players in the game this year, everything from phone cases to handbags also had their chance to shine. We can expect traditional technology companies to insert themselves into the fashion game in a major way in 2018. 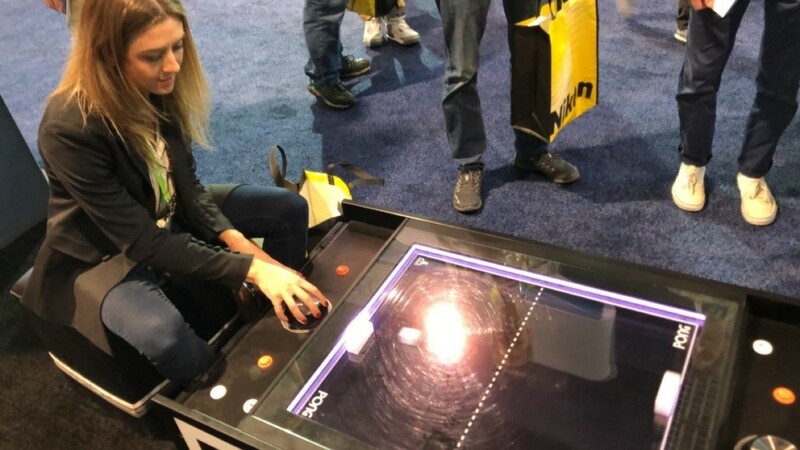 From teaching kids to code before they can talk to white boards that think for themselves, CES brought educational tools that are actually accessible to the masses. Past years have brought plenty of promise that technology would penetrate the education industry in an affordable, adoptable way, and CES truly delivered this year. The show floor was bursting with tools and gadgets that parents, teachers and even baby-sitters could afford to purchase without mortgaging their home. One particular favorite was Smart Gurlz, which is essentially an American Girl Doll that encourages kids to get involved in STEM. This step forward makes it abundantly clear that third graders will soon be better coders and designers than any of us… and we love it! Put your message where people will see it! The many booths almost blend into one. While necessary to act as a meeting point or a place to show off your business, your branding and messaging can get lost in the sea of signs. Advertise or take over areas where people gather, for instance at charging stations, near water dispensers or even the bathroom. Yes, people do hide out in there taking a breather from the CES madness so why not tell them about YOUR business while they do. Presentation really is critical. If you are going to invest in a booth to show off your product, make sure that you think about everything else that goes with it, down to the tablecloth you use. Even as an early stage startup, you want to show your wares in the best possible light. Having trash or clutter littered across your display tables is a sure fire way to make busy visitors pass you by. Don’t limit yourself to your booth. Yes, it’s important to have a physical presence in order to meet the masses, but you may as well take advantage of the whole Vegas strip. When staffing for CES, make sure you free up some people to hit the bars, attend the parties and hang out at the blackjack table. It sounds too good to be true, but this is where a lot of deals and discussions are made at CES. Want to know more about our time at CES or are you looking to find out how you can build a bigger presence within the technology sector? Get in touch with the team at 5W at marketing@5wpr.com, we look forward to working with you.